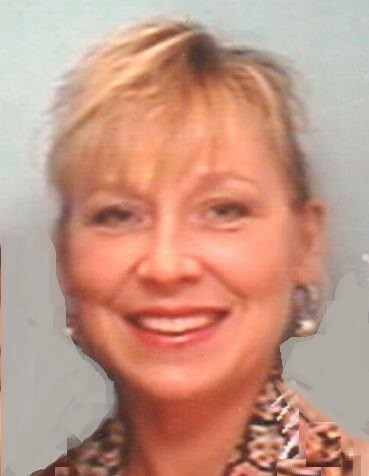 Robson- Lisa Y., 54, Richland, went to be with the Lord on January 23, 2019. Born on November 6, 1964 in Windber, daughter of the late Joseph M. Stopko and Nancy C. (Walter) Stopko, Johnstown. She is survived by her loving husband of 29 years, Michael J. Robson; children, Krista N. and husband Jordan M. Amigh, Kelsey R. Robson, and Joshua M. Robson; grandchildren, Taleah R. and Jamere Q. Christian, Jayce M. Robson; brother, Joseph B. Stopko; nephew and niece, Joseph S. and Amanda N. Stopko. Lisa had a zest for life and loved to laugh. Among her greatest qualities was her empathetic nature. She loved deeply and opened her heart and home to anyone in need. When you knocked on Lisa’s door, she shouted “Come on in!” from the kitchen and a warmth immediately wrapped around you. She, as well, came to life around others and enjoyed caring for her loved ones, many times through her always enjoyed cooking. It was said that Lisa could whip up a gourmet meal with any ingredients on hand. Her talents were limitless. She prided herself on raising her three children and made them the center of her world. She did the same for her grandchildren when she became a grandma 12 short years ago. When anyone mentioned family, she couldn’t wait to share recent accomplishments. Her pride shined through her even brighter smile. Through the years, she served as her children’s classroom parent, activity organizer, daisy/brownie leader, youth group parent, always supporter, inspiration, confidant, and so much more. She had a way with her words and loved fearlessly. Her spontaneity embodied her love for life. She fully engaged in the moment and knew what it meant to take in her surroundings entirely, creating the most meaningful memories. Lisa immersed herself in music and especially enjoyed Bruce Springsteen and Elvis Presley. She knew how to get lost in a good book. She stayed true to her unique style, love of bright colors and fashion forward statements. Exploring beaches and bed and breakfasts were among her favorite things.to do with Mike. She was passionate about animals and always made sure the pets in her life were celebrated along with everyone else. Part of her heart remains with her two dogs, Puppy and Maizy. Lisa loved traveling to Gettysburg, indulging in many adventures with her husband, Mike. She enjoyed dancing the night away to 80’s music and event planning with her daughter, Krista. Lisa was thrilled to spend time with her son, Joshua, enjoying their favorite foods, sharing jokes, and keeping each other company, making errands fun. Joshua was the apple of her eye. She shared extreme laughter during pedicures with her daughter, Kelsey. Lisa and Kelsey shared the same sense of humor and were each other’s biggest comedic fans. Many exciting ventures were experienced with her mom, Nancy, from shopping until the wee hours of the morning to just sipping coffee and enjoying each other’s company. Lisa was incredibly proud of her grandchildren. She passionately cheered on Jamere at his sporting events and couldn’t wait to proudly share his amazing athletic abilities with others. Lisa boasted Taleah’s internal and external beauty and reveled in their many shopping trips together. She was also proud of Taleah’s incredible cheerleading talents. Lisa absolutely adored taking care of baby Jayce and reading stories together. Lisa was immensely adored by her family whose lives are forever enriched because of her giving and joyous presence. Her legacy of love, charity, and pure happiness will carry on through her loved ones. Friends will be received from 2 p.m. until time of service at 5 p.m. on Sunday at the Harris Funeral Home, 500 Cherry Lane, Richland, with Pastor Jim Gay officiating. Private inurnment will be held at the convenience of the family. The family suggests contributions be directed to the Humane Society of Somerset County, 204 Whitetail Rd, Somerset, PA 15501 in memory of Lisa. Online condolences may be posted to www.wharrisfuneralhome.com. Cremation by Laurel Highlands Crematory at Harris Funeral Home.